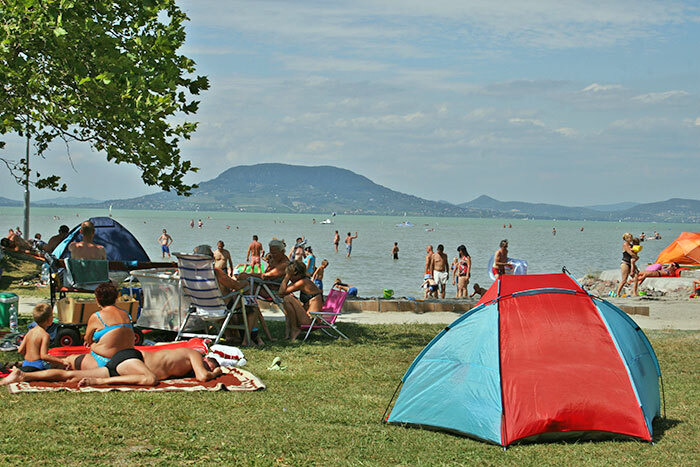 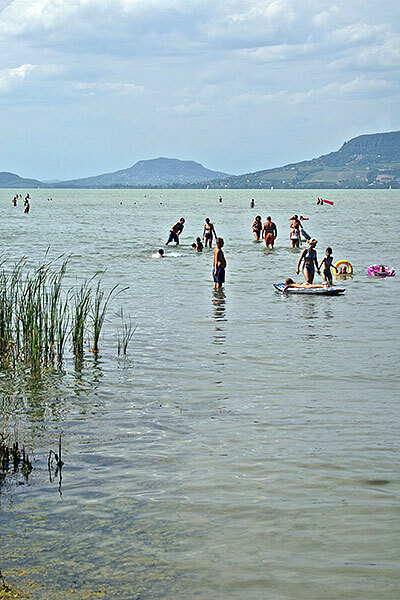 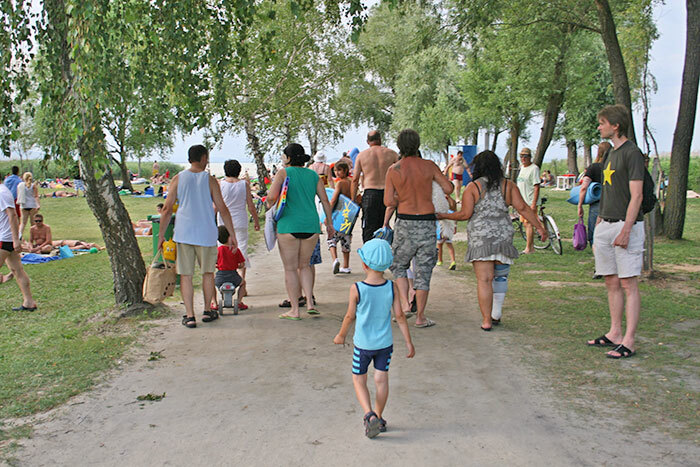 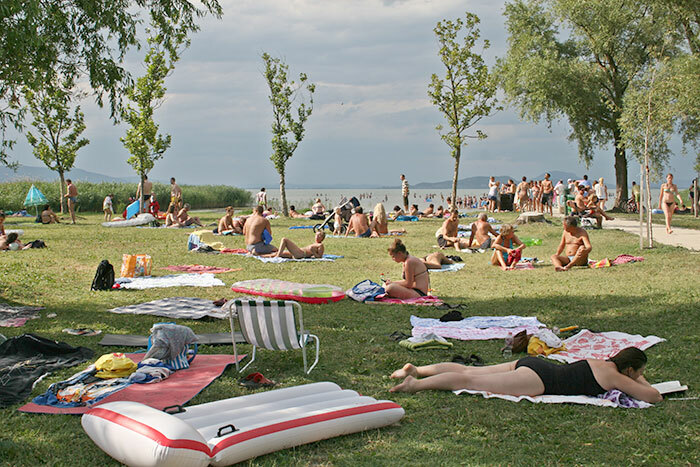 The largest free beach of balatonfenyves is situated in the central part of the town and strenghtens at the end of the street which leads from the train station to the shore. 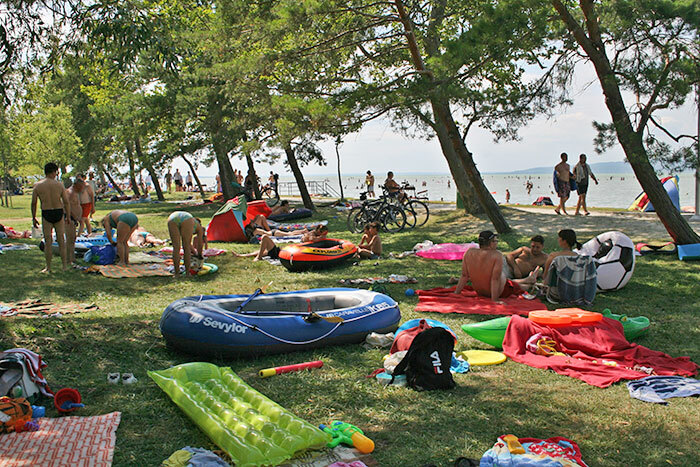 The total lenght of the beach is approximatly one mile and its width changes from part to part. 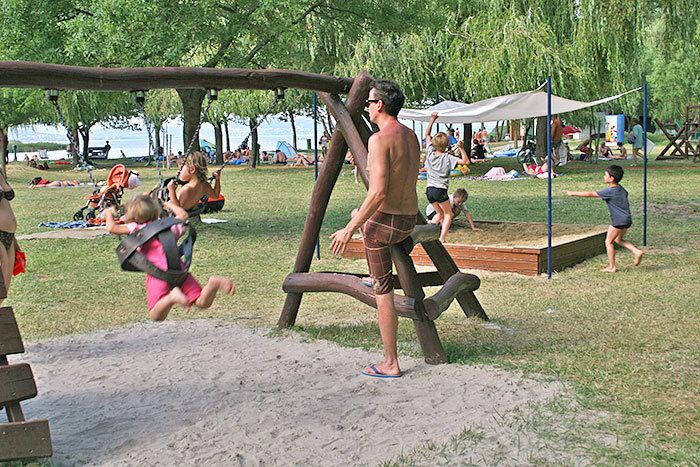 The playgrounds, changing rooms, toilets and cold showers are free to use. 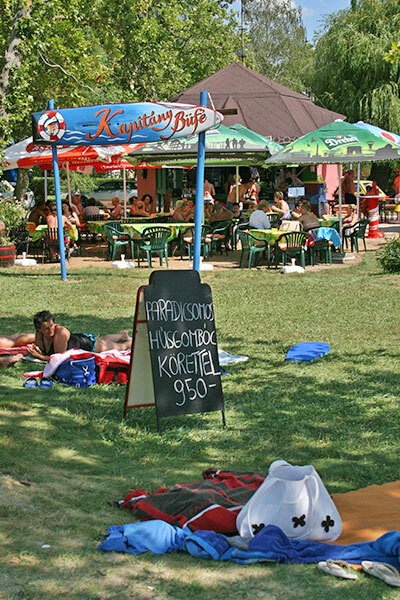 On the area of the beach there are several shops which offer different services numerous snack bars (which offer pancakes, pizza, hamburger, hot-dog, ice cream, cocktails etc.) 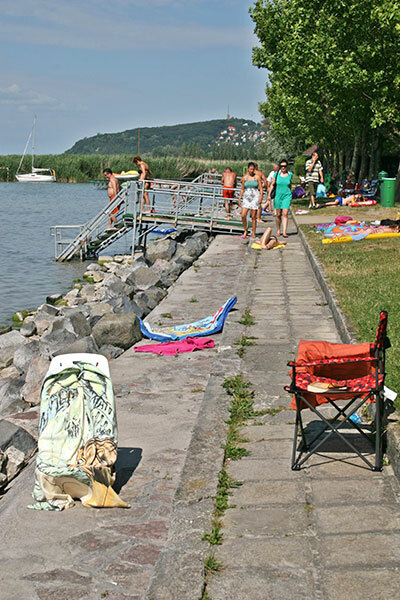 Especially on that part of the shore there is a wide range of offers, which is at the end of Vachott street. 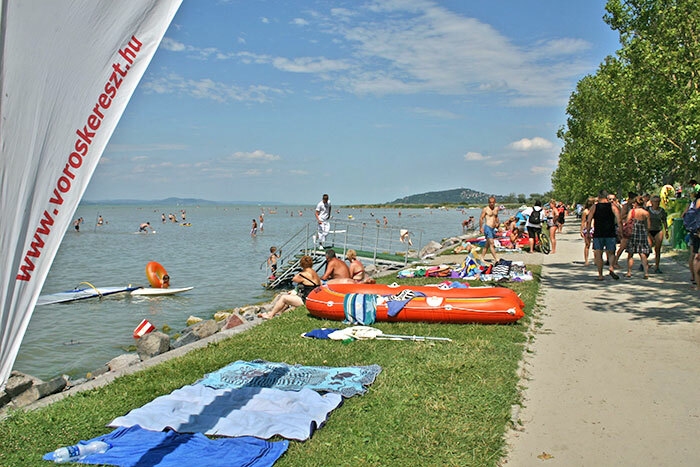 In the summer there is an 18 hours long beach patrol service and information service and water rescue teams are operated on the beach as well. 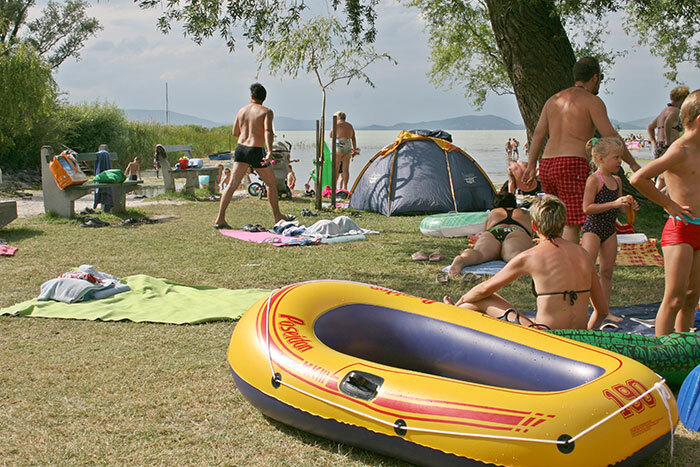 Sun beds and safe-deposit boxes are operated for a fee of 500.-Ft per day. 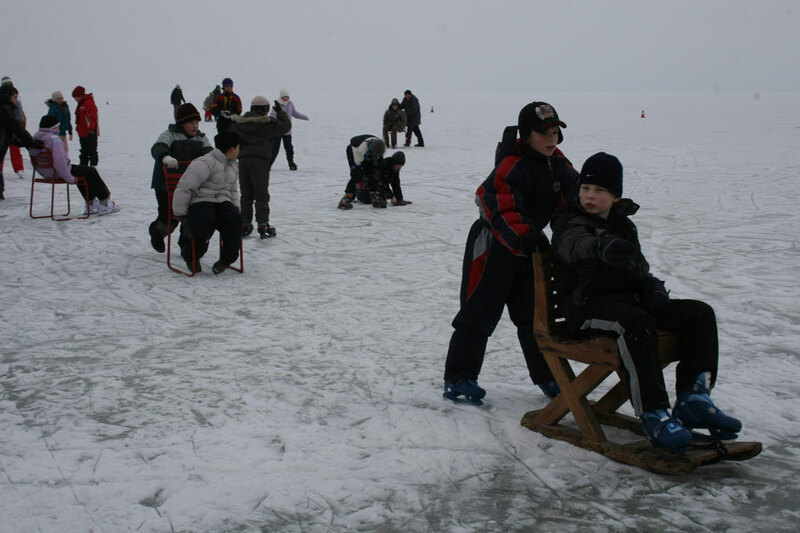 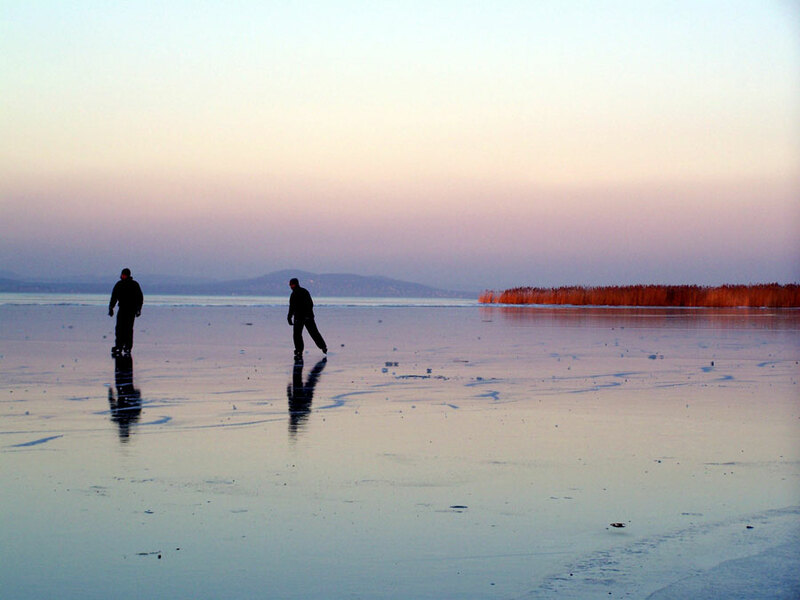 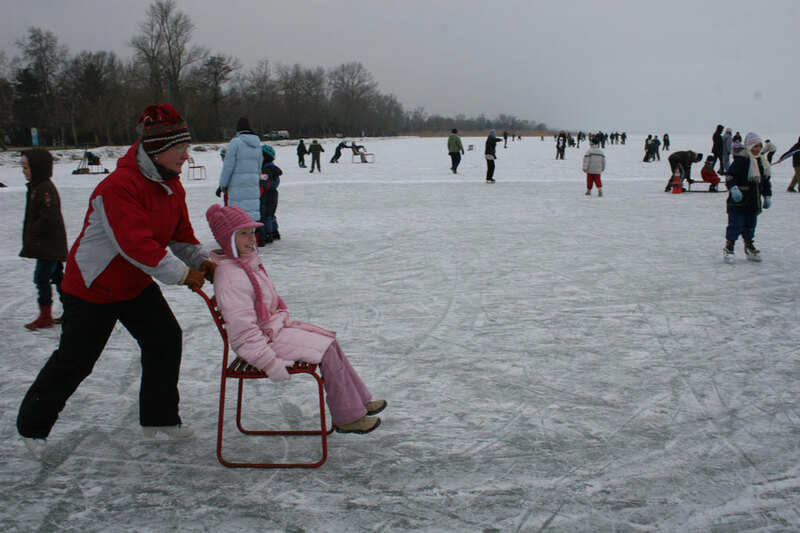 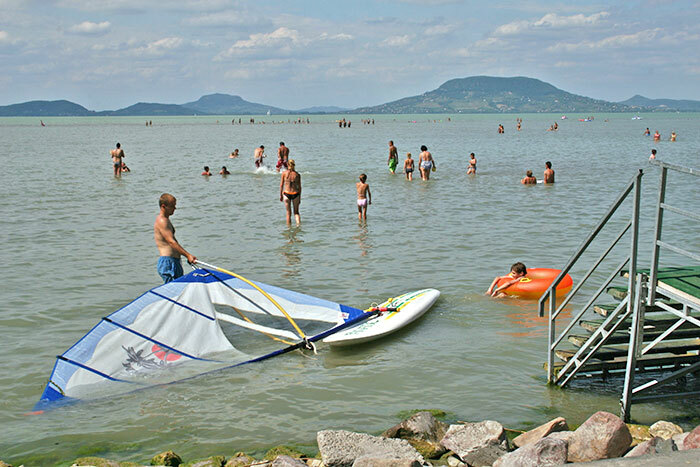 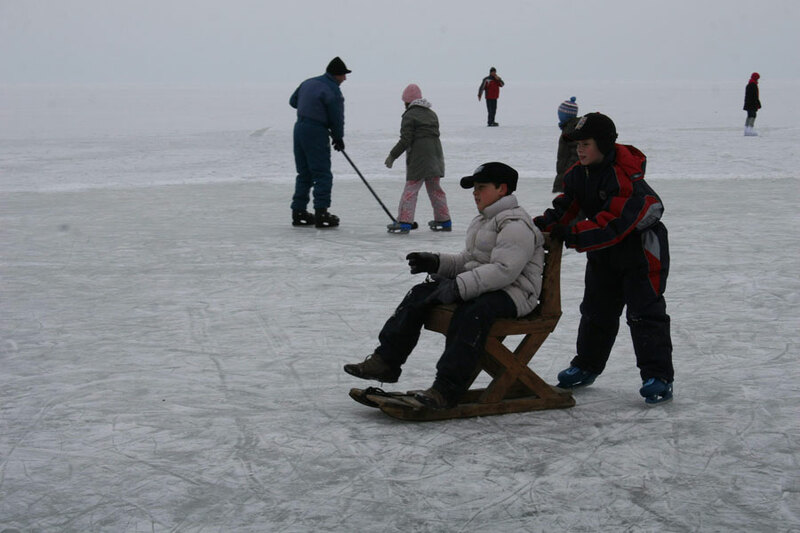 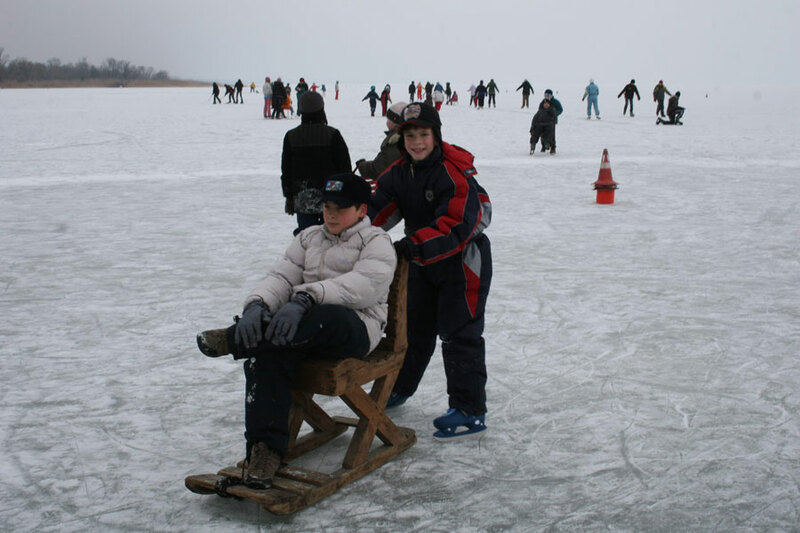 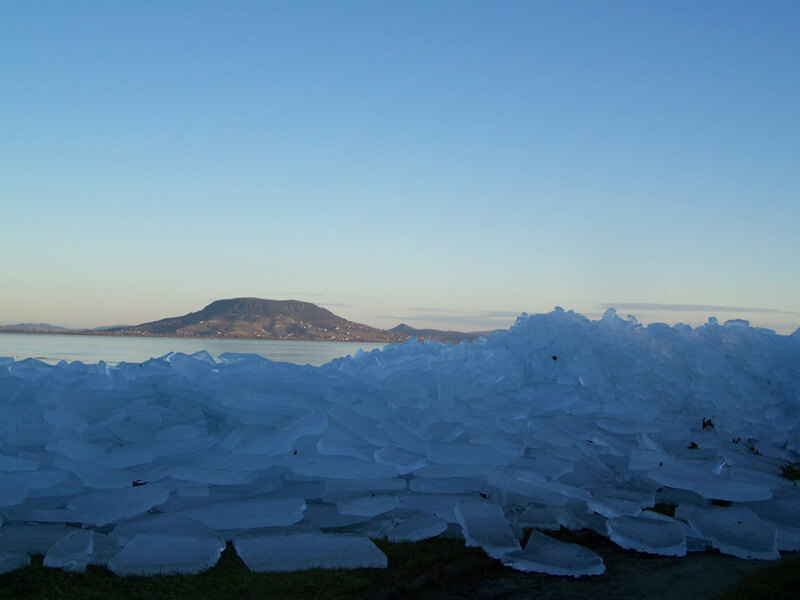 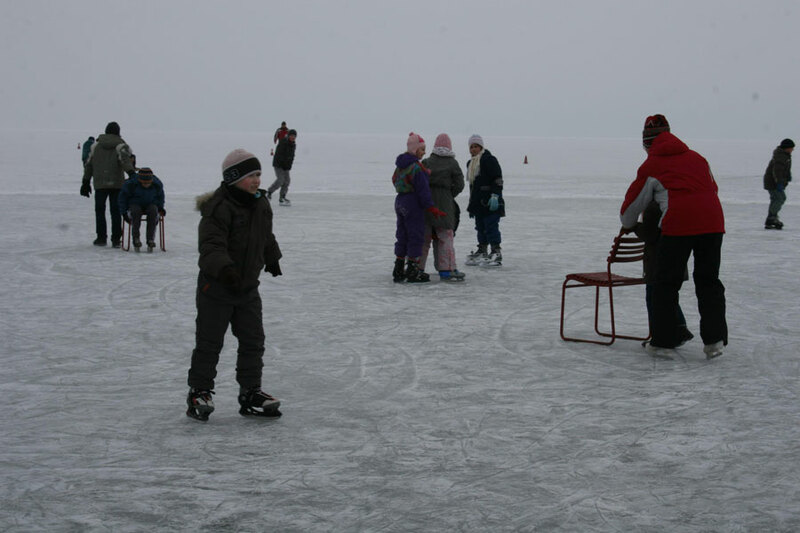 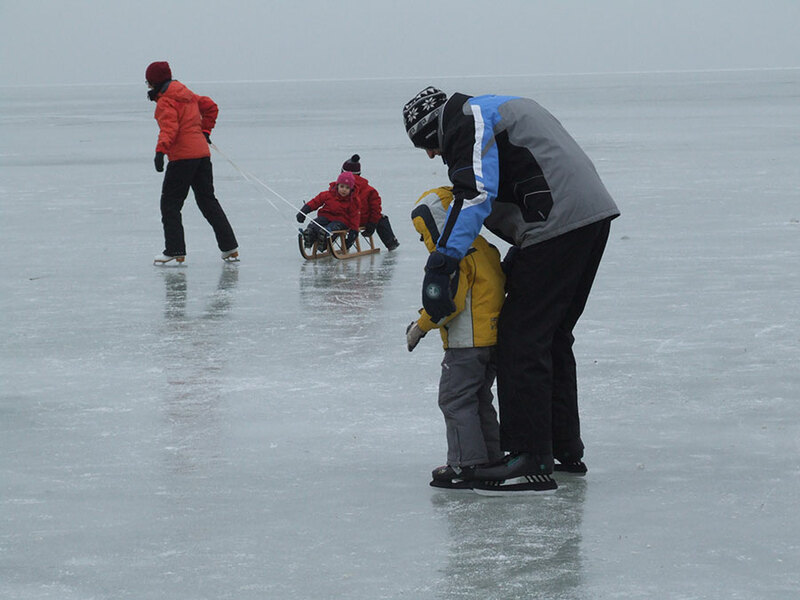 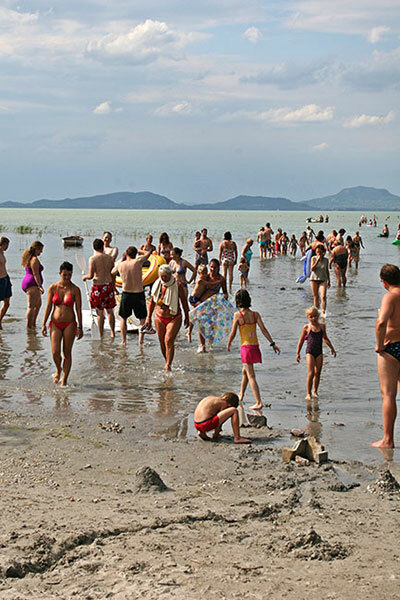 The second largest beach of Balatonfenyves is situated on the North-East coast of the town. 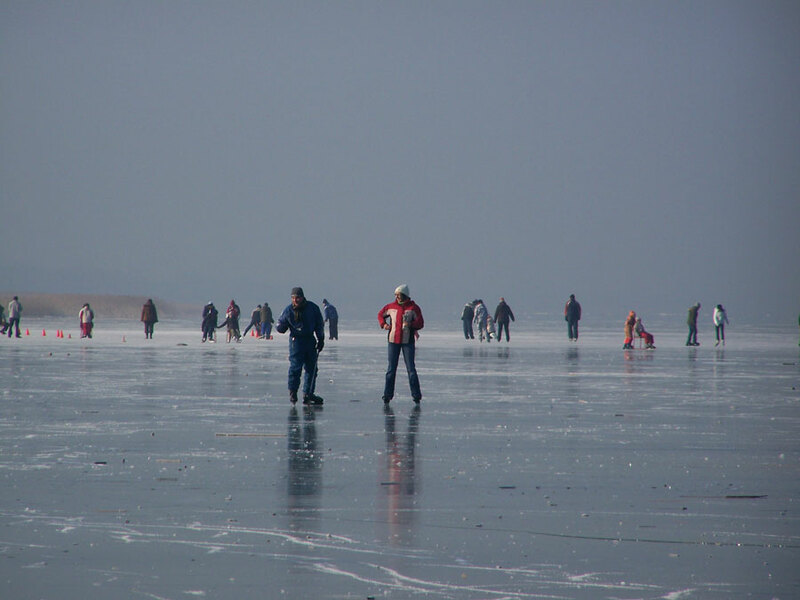 Its area is about 200 times 70 metres. 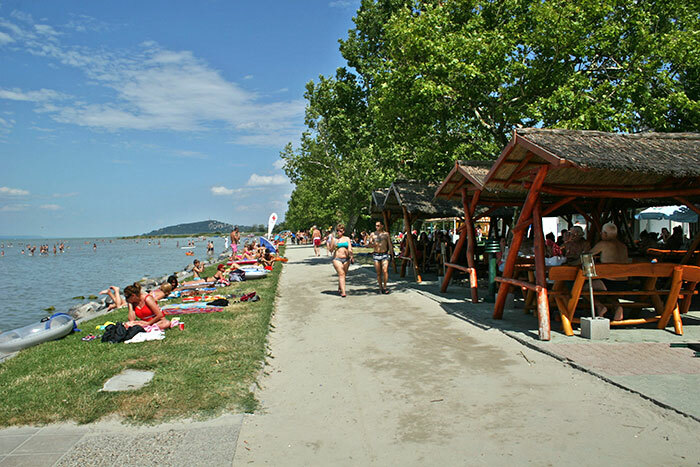 The two hundred metres long coast which is built of concrete and stones is suitable for swimming on its whole lenght. 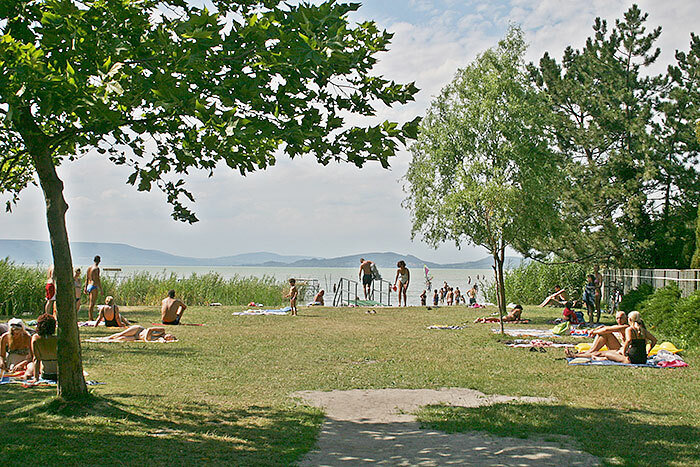 The beach is covered with nice lown and surrounded by a line of trees. 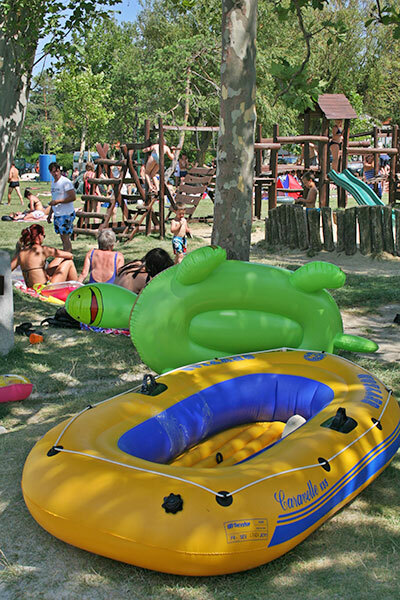 As on other beaches of the town playgrounds, toilettes, changing rooms and cold showers are free to use. 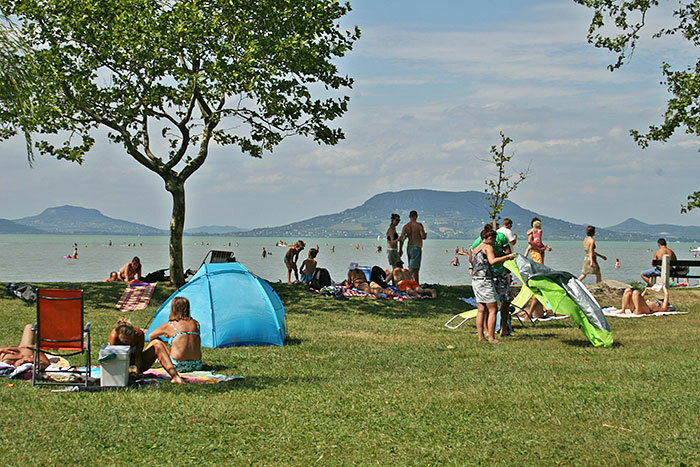 On the south-west edge of the beach there is a number of other stores and snack bars offering the usual food and services. 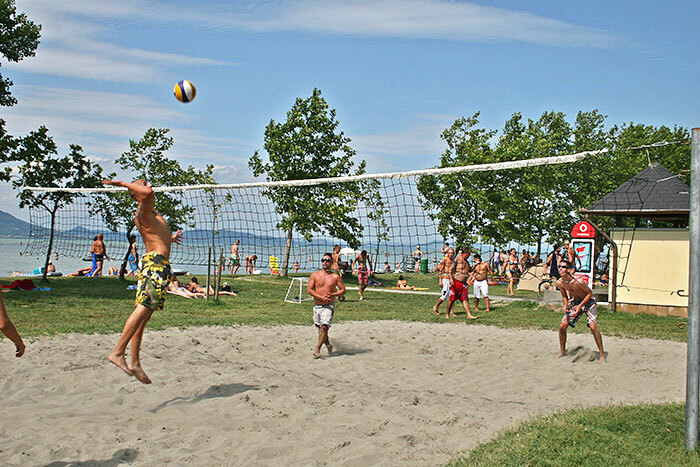 Similarly to the main beach int he summer there is an 18 hours long beach patrol service, too. 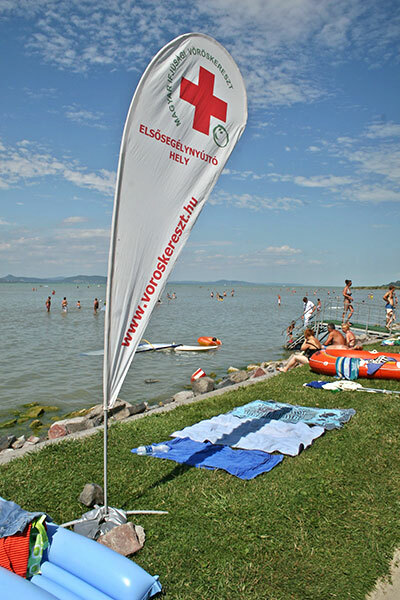 Information service and water rescue teams are operated on the beach as well. 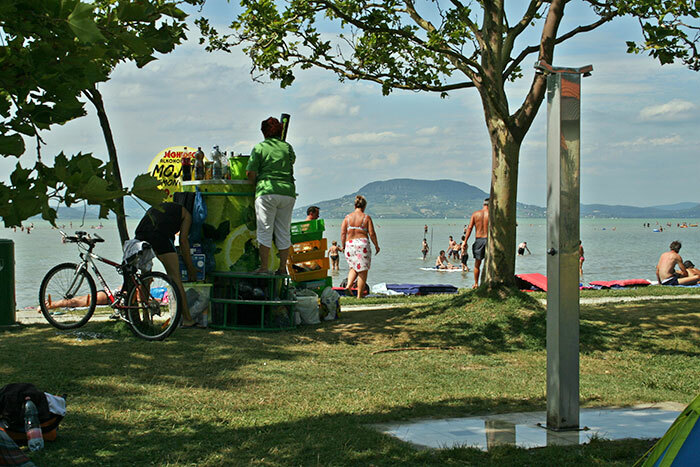 Sun beds and safe-deposit boxes are operated for a fee of 500.-Ft per day. 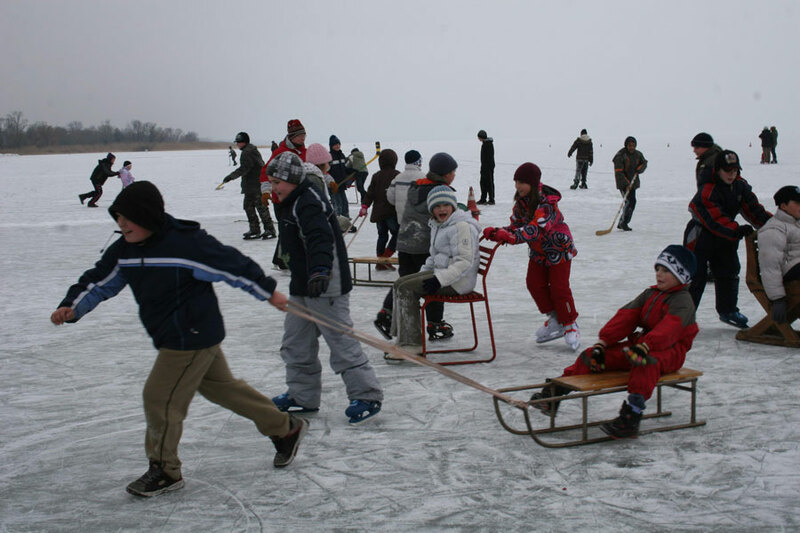 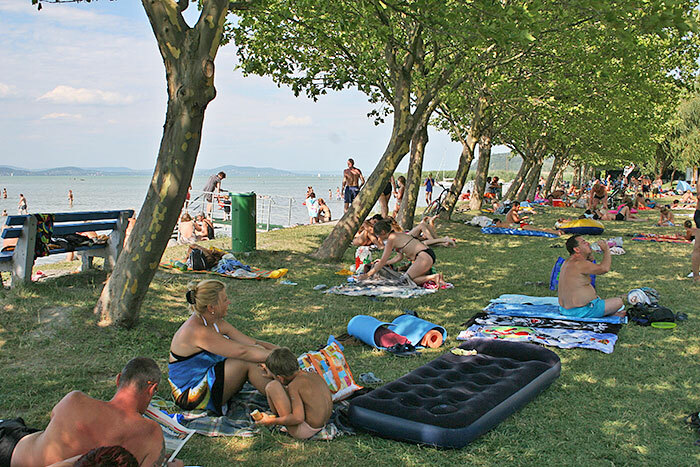 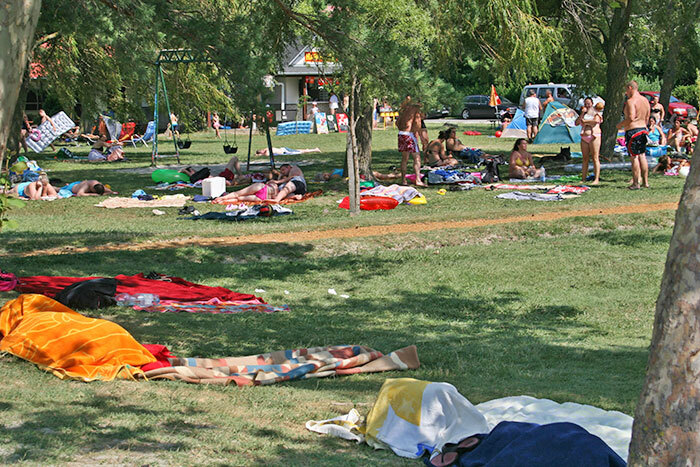 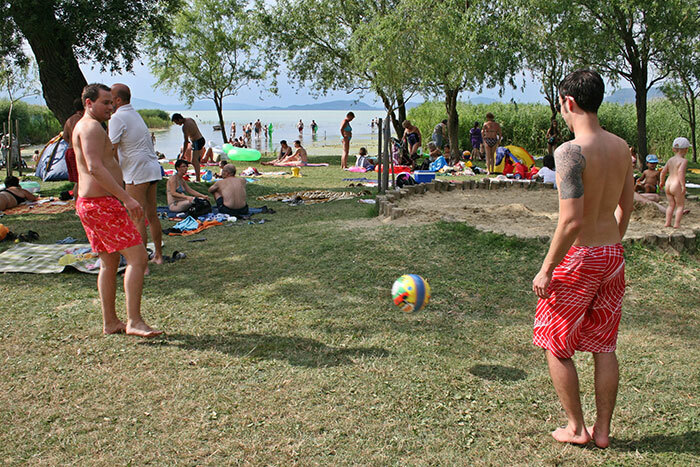 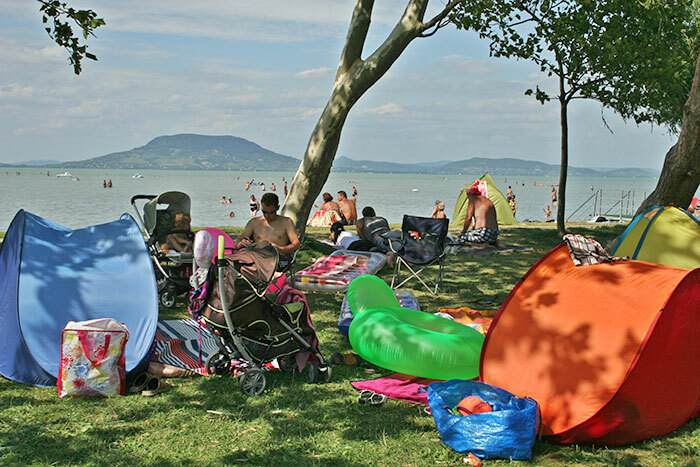 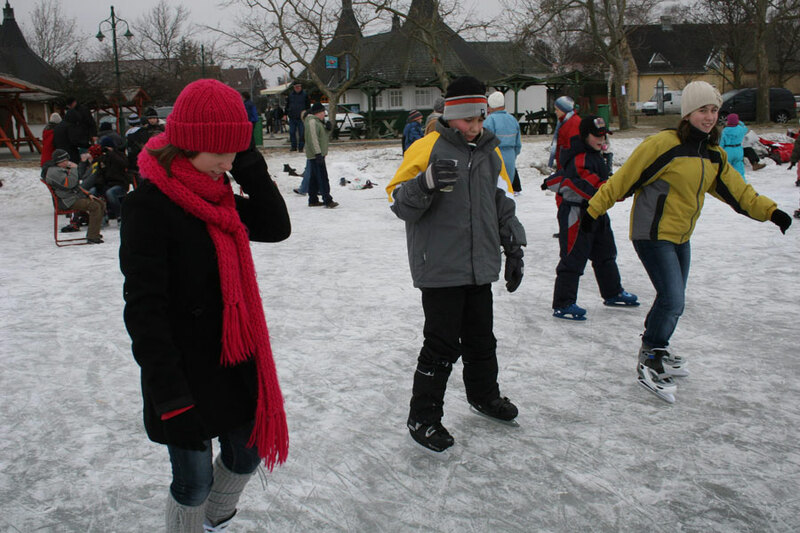 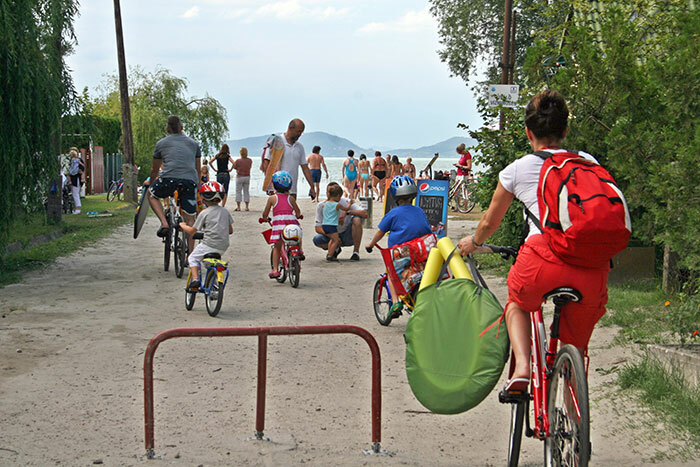 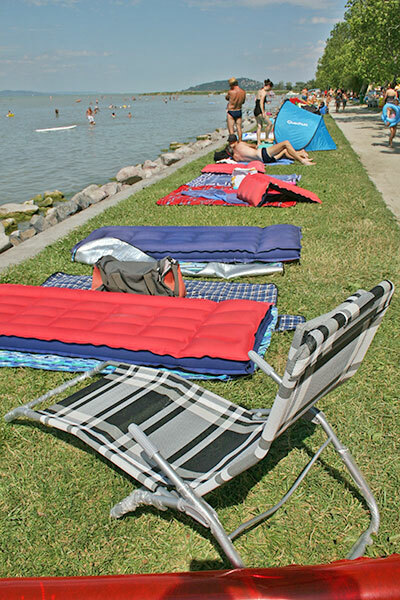 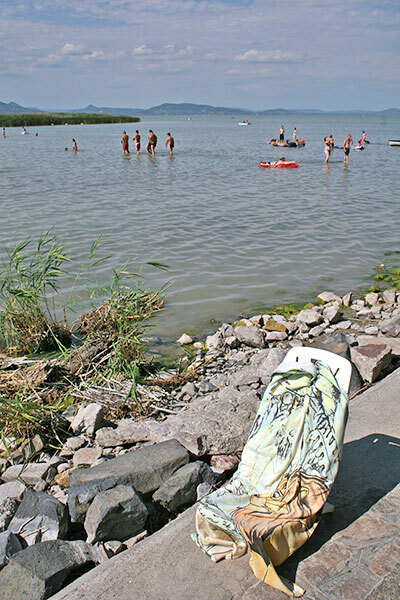 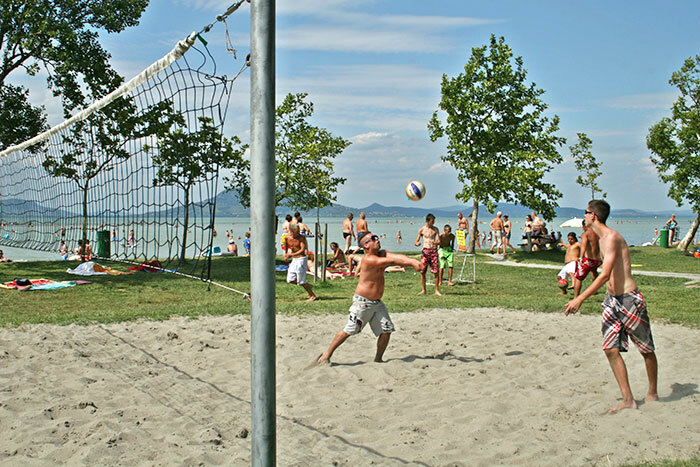 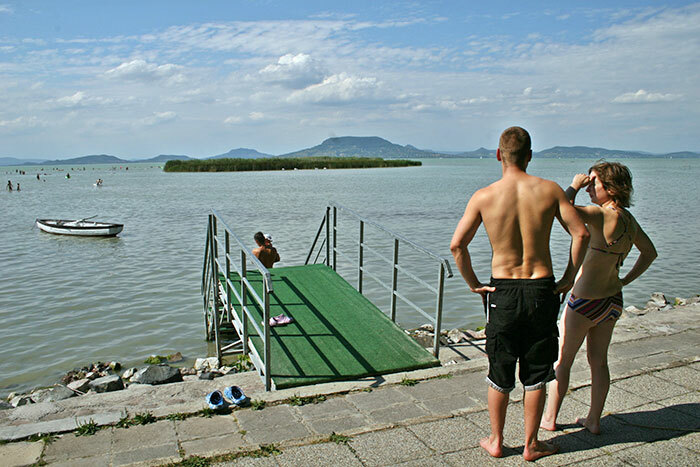 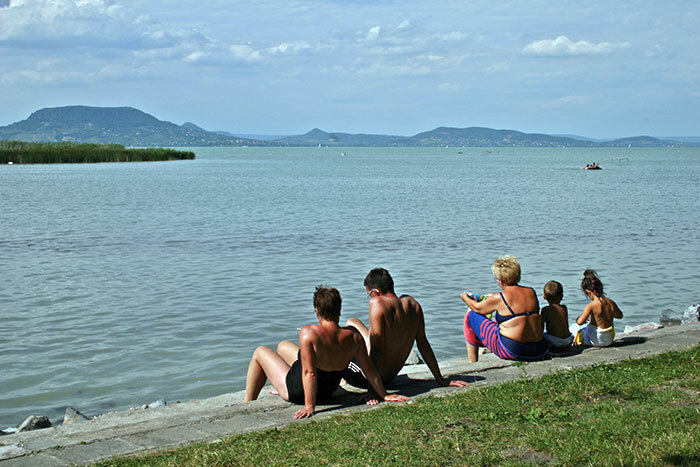 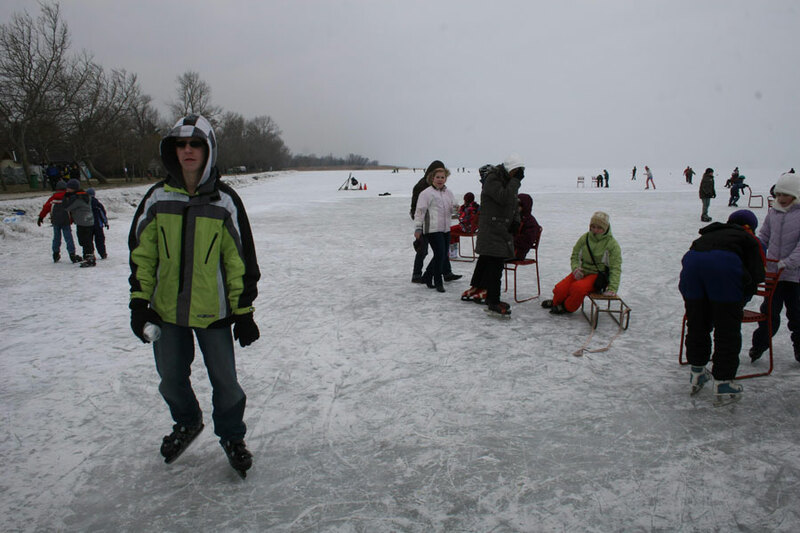 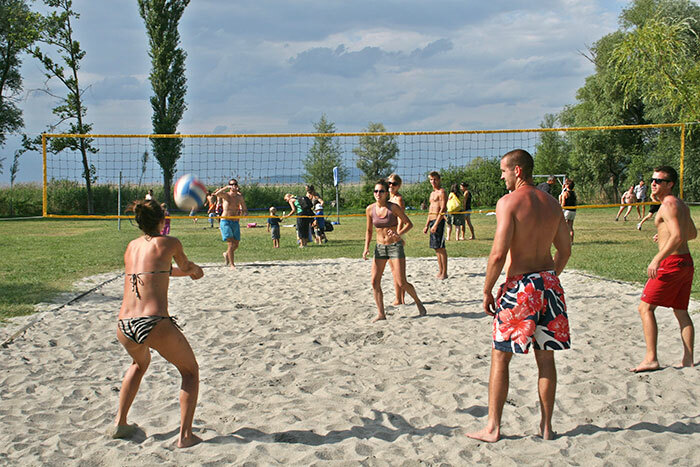 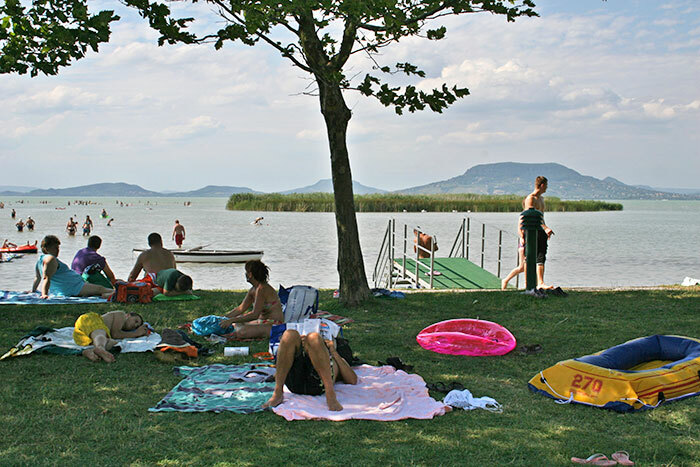 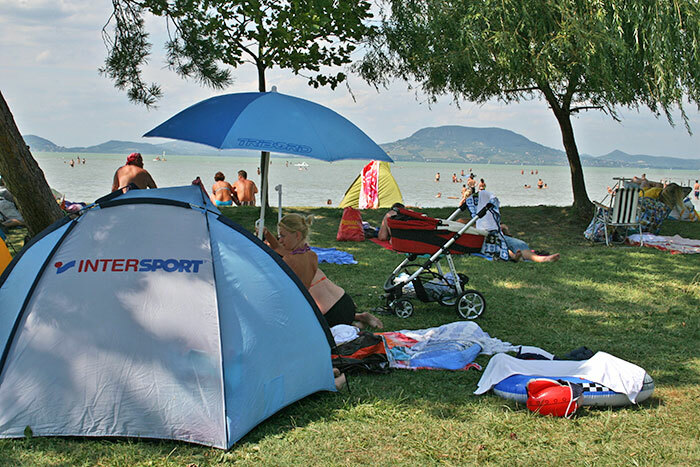 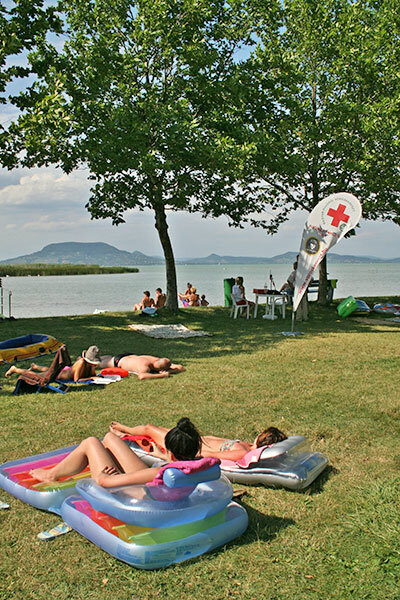 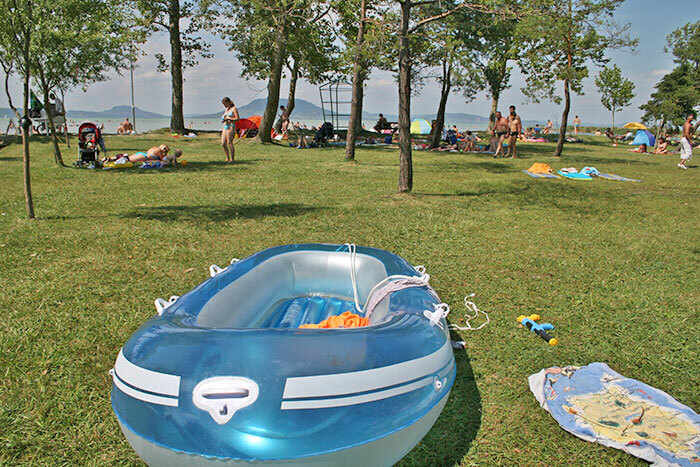 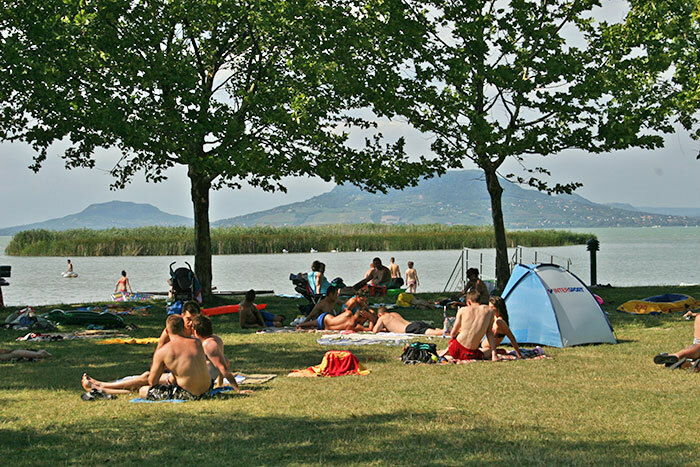 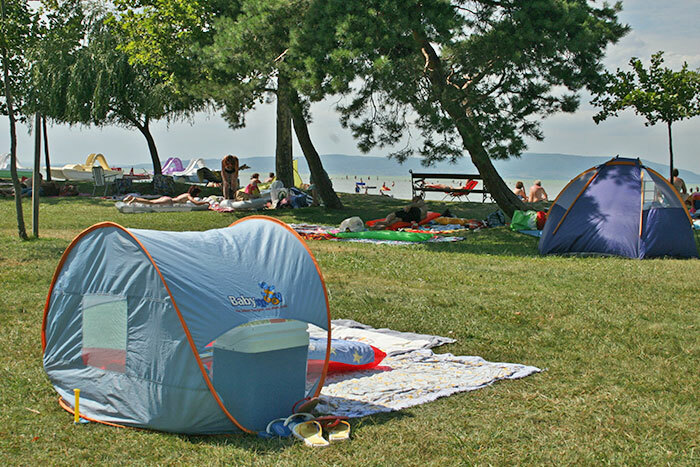 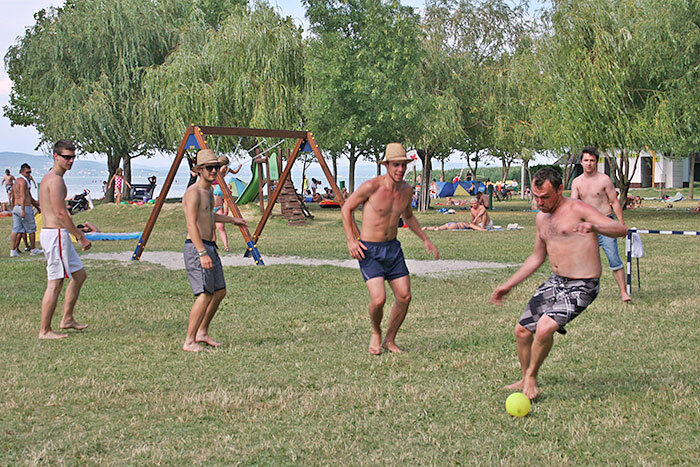 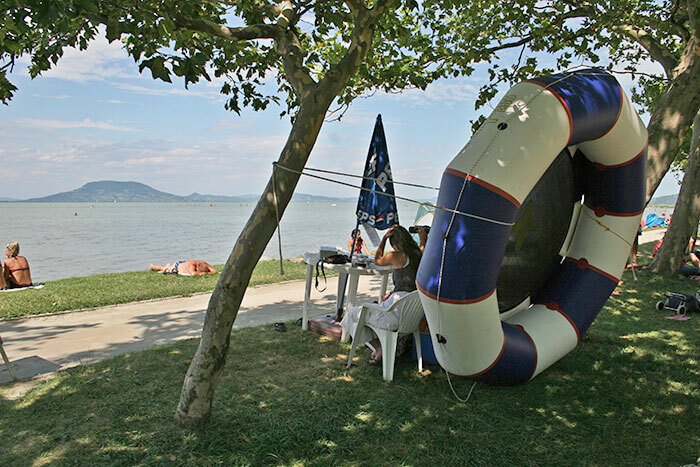 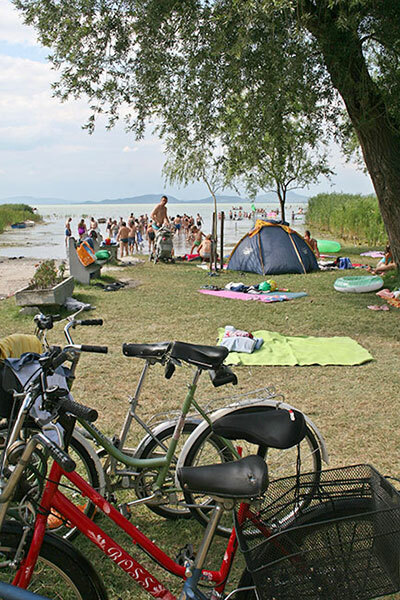 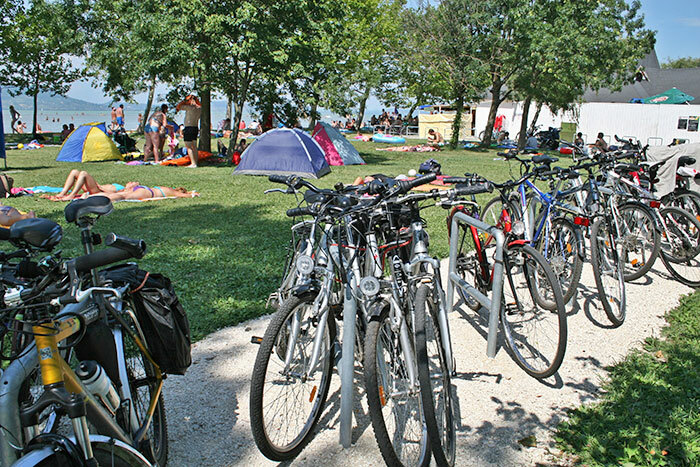 The free beach of the settlement is situated near Balatonfenyves–alsó train station and has been recently modernized. 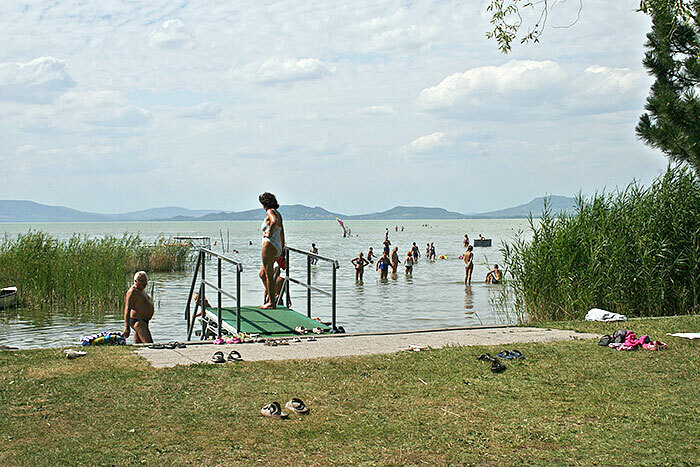 At the entrance has been built a new sanitary building with toilettes which is regularly cleaned. 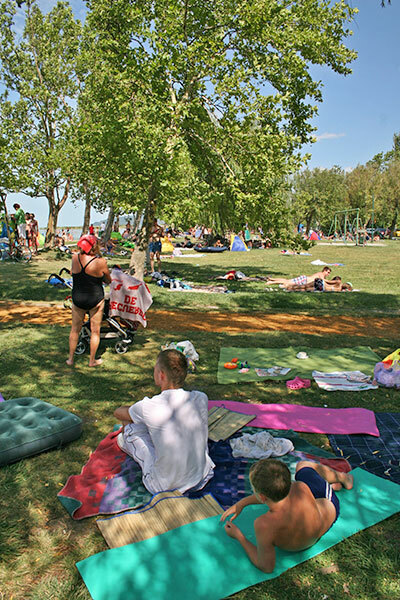 The area of the beach reaches to the water and is around 50 metres wide and 120-130 metres long and is covered with with lawn and surrounded by trees on both sides. 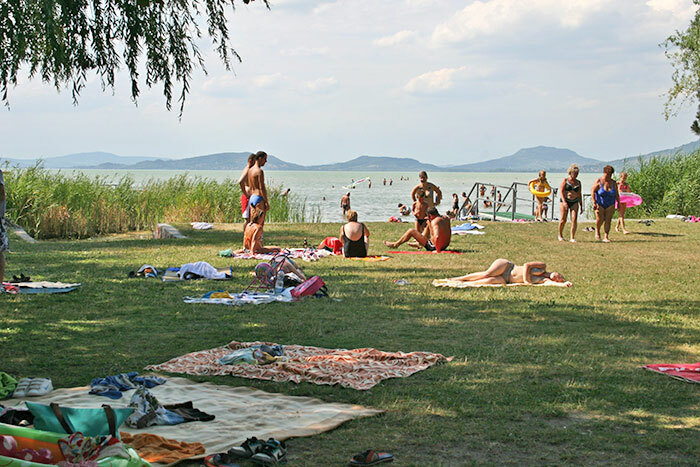 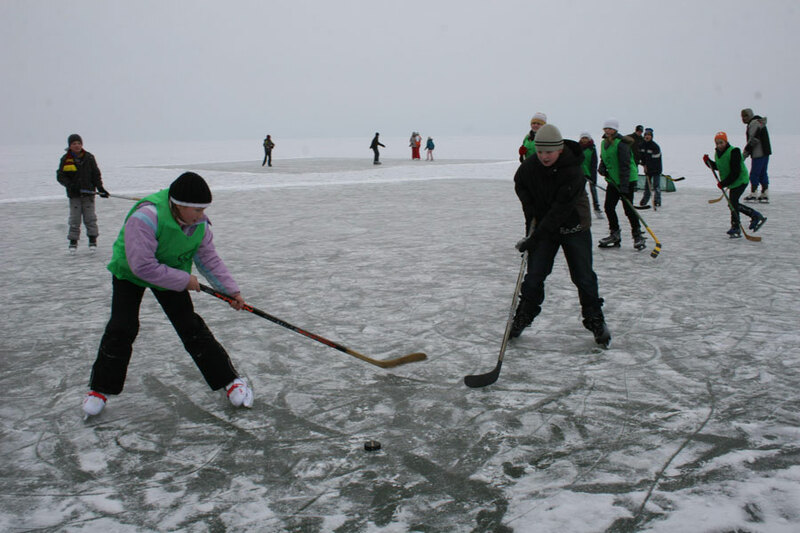 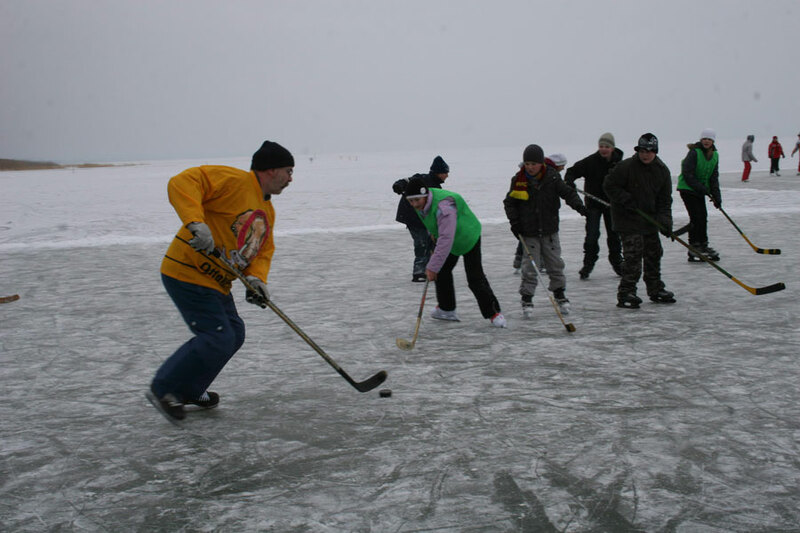 Sportfields were created in a small park which is separated by reeds from the water. 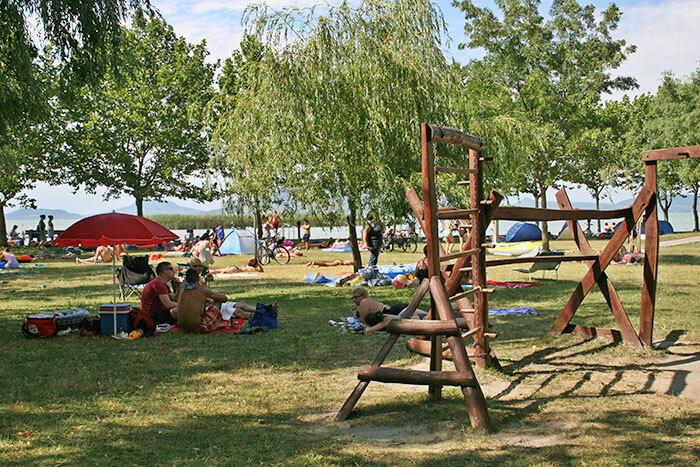 On the left side of the entrance there is a safe playground with swings and toys for children. 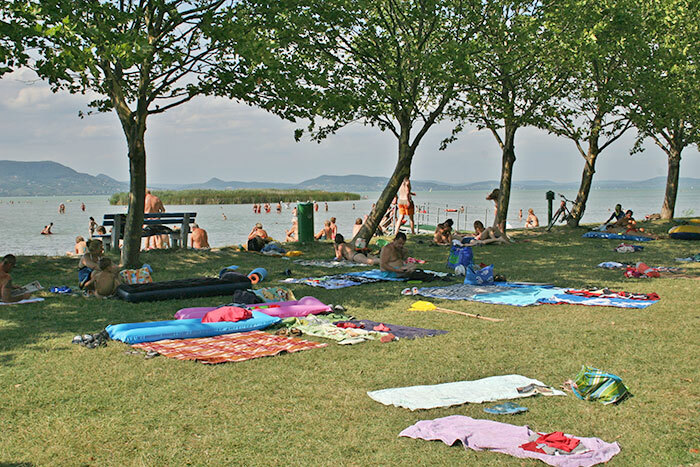 The snack bars are situated ont he right side of the beach. 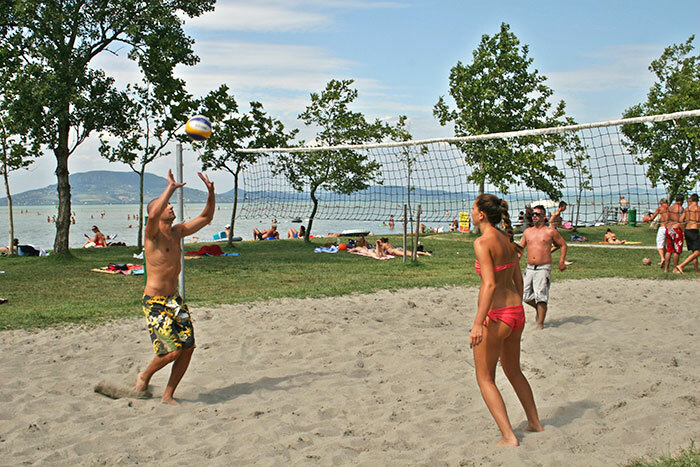 In the summer there is an 18 hours long beach patrol service and information service. 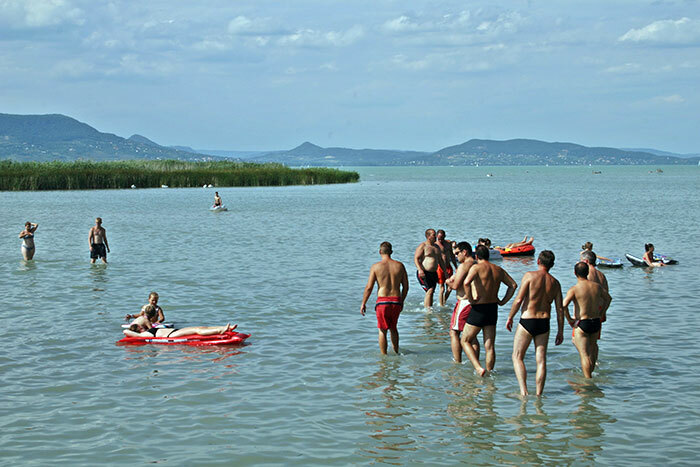 Water rescue teams are operated on the beach as well. 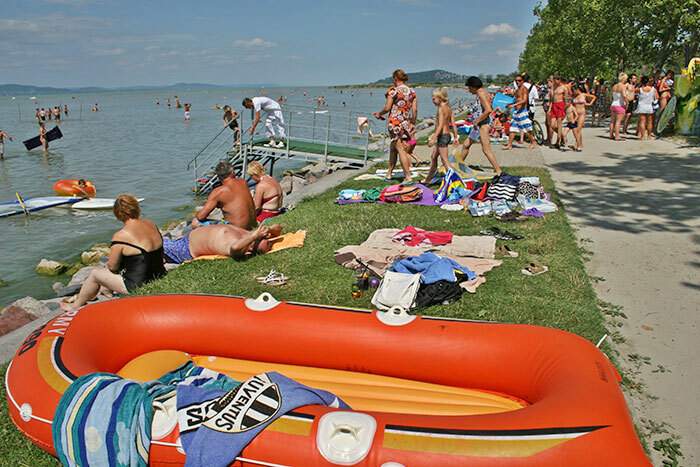 Sun beds and safe-deposit boxes are operated for a fee of 500.-Ft per day. 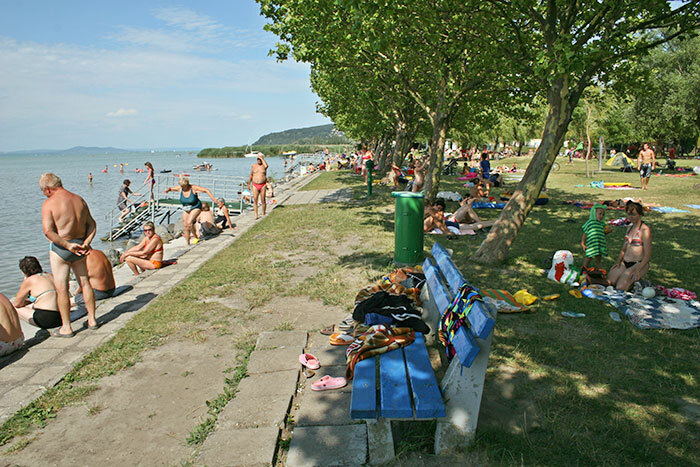 Also known as Fenyőstrand (Pine beach), after the restaurant at the entrance of the beach, is situated on the north-east edge of Balatonfenyves 200-300 metres from the Bélatelep-alsó train station. 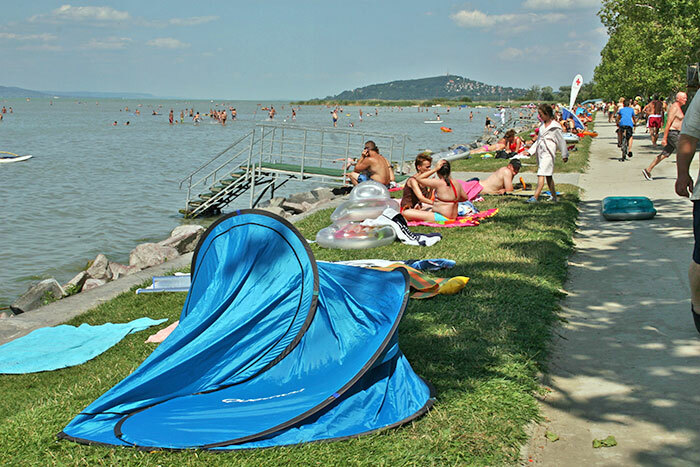 Because of its small size (35 times 70 metres) it is suitable rather for people on vacation and local people. 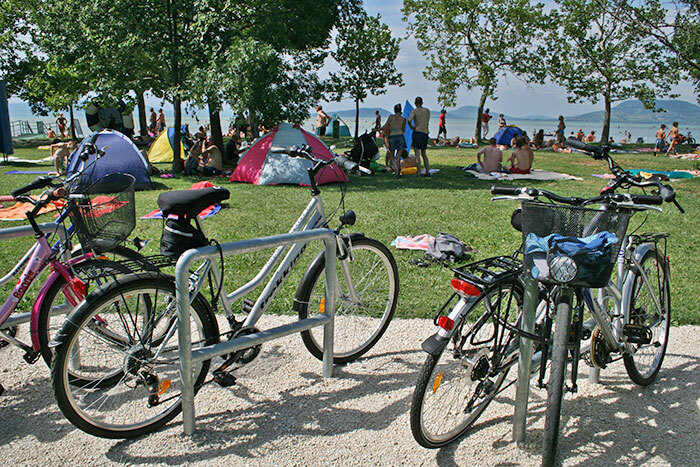 Also a pleasant resting place for cyclists about 100 metres far from the bike path. 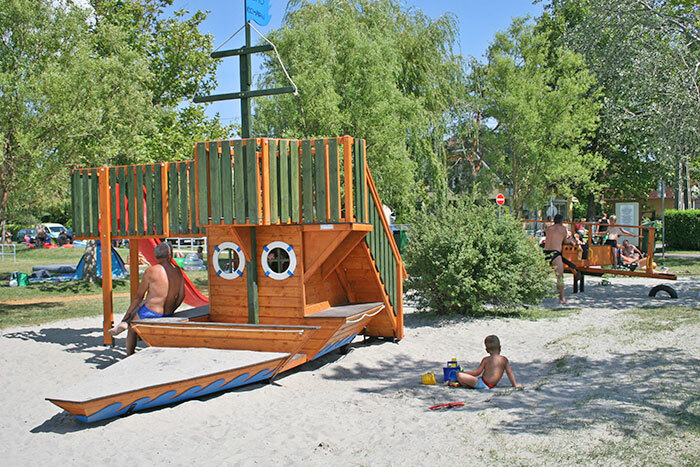 This small beach is suitable for families with small children with its shallow water. 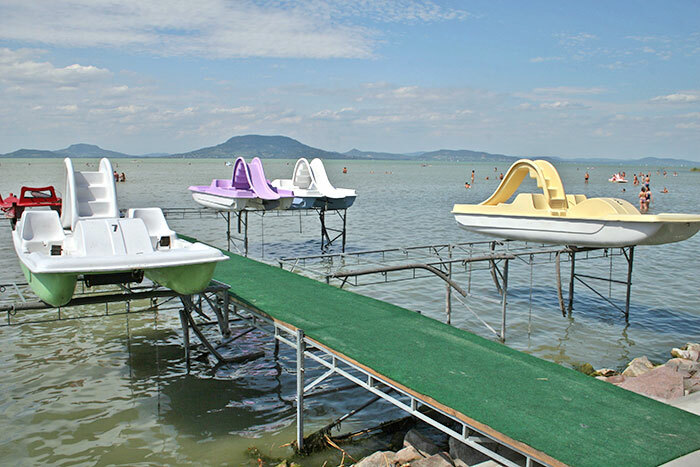 It has not got a built shore and the water deepens gradually.